Develops multiple physical skills and abilities. Great for children in Elementary through Middle School ages. 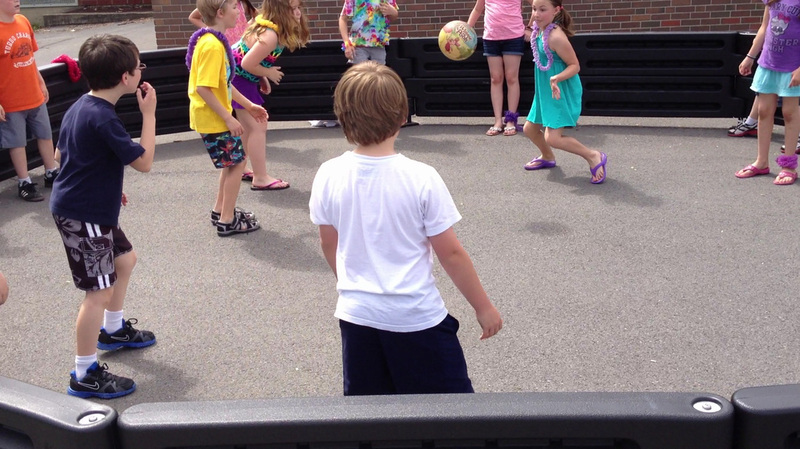 Fast-paced, high energy game with quick turn-over to keeps everyone active and involved. Gets lots of children involved. Easy to learn and anyone can win! Develops agility, jumping, striking and dodging skills. 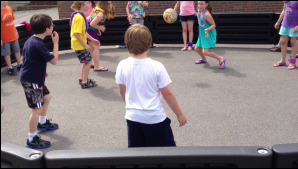 Children won't loose interest throughout an entire physical education class or recess period. The game develops hand-eye coordination while keeping children active. The skills learned in GaGa Ball can translate to other sports. All that is needed to play is a available open firm surfaced area and a playground ball (once you have a pit of course).